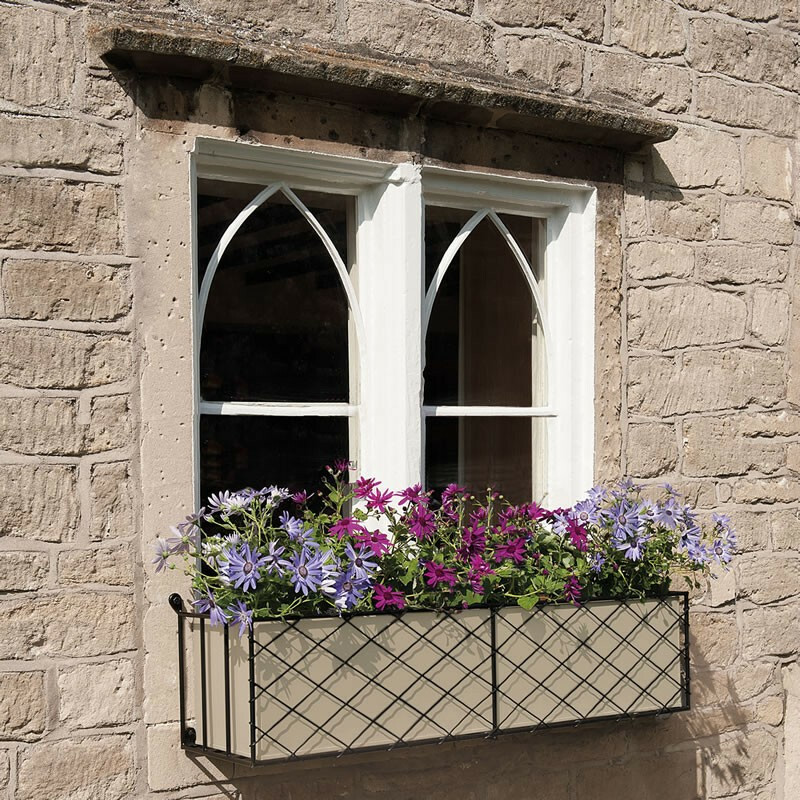 Our window boxes will suit any style of property and provide secure support for pots and planters. 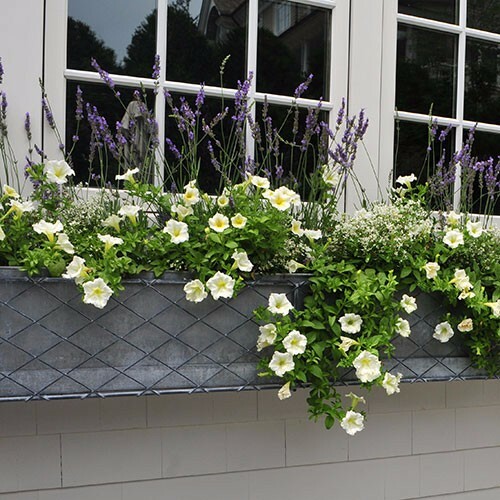 These robust zinc galvanized steel window boxes are fully assembled and are easy to install. 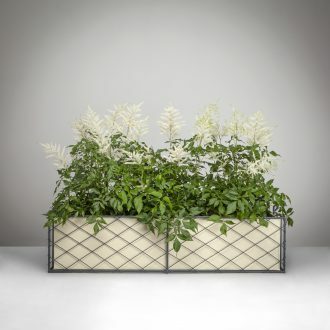 This handwoven diamond latticework is the perfect vintage design for sash windows or fixed to your house wall. 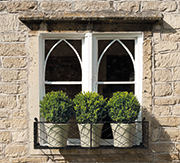 A classic iron window box design ideal for town house or country cottage; any size can be made to order. 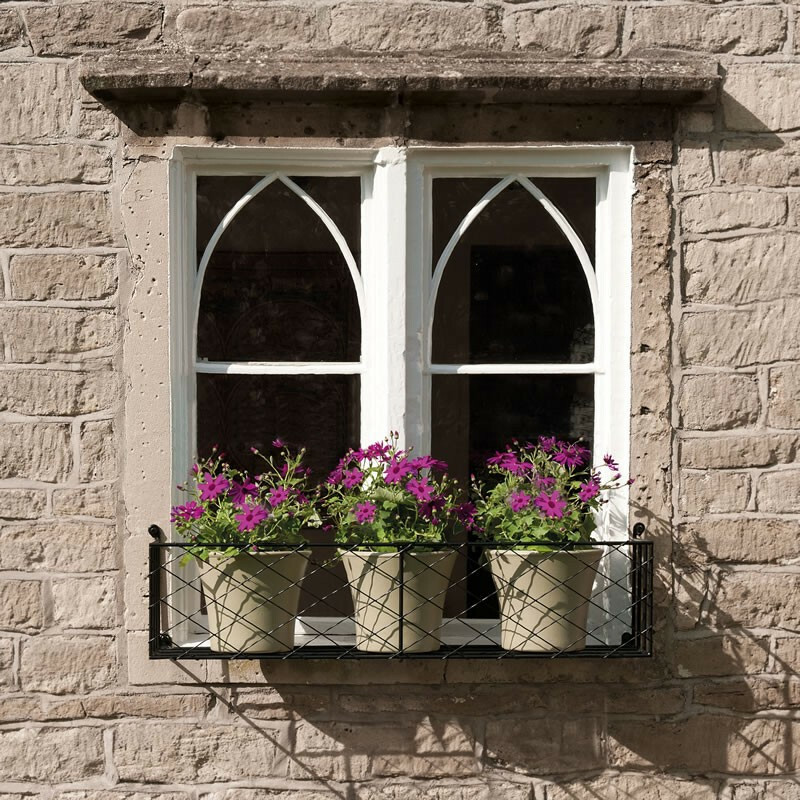 A stylish design with Georgian detailing, a perfect solution for period properties. 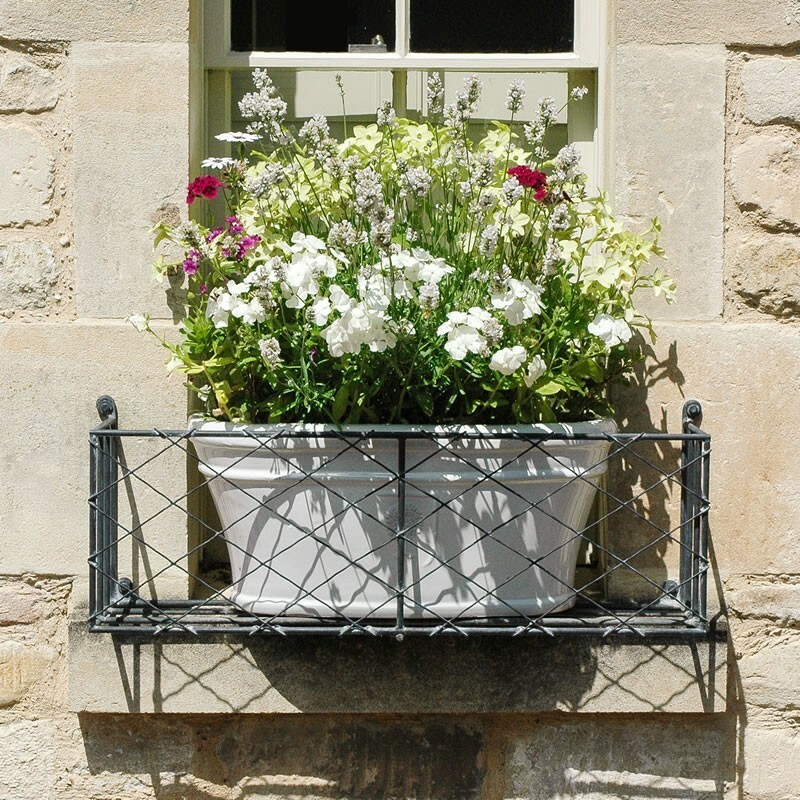 Bespoke window box sizes to order. 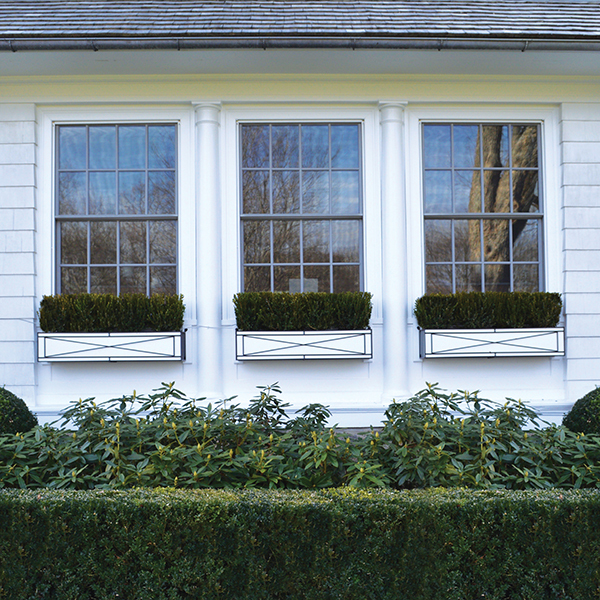 This design will suit any property with clean rectilinear lines – a pared down solution for walls or windows. 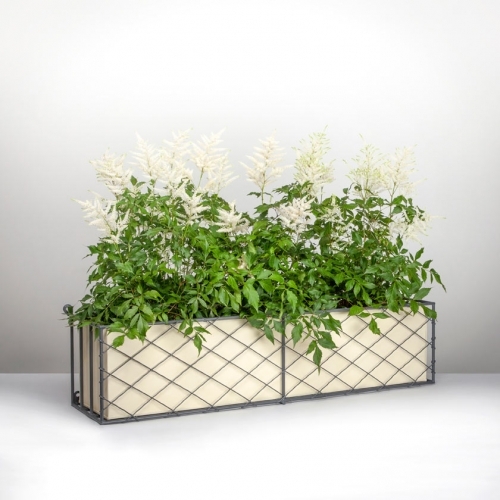 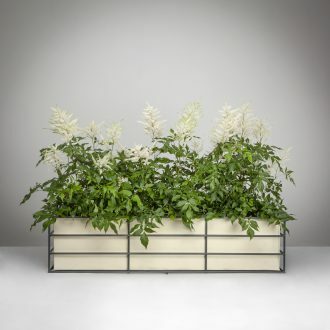 This window box is a robust, fully welded design with a front panel of handwoven diamond latticework. 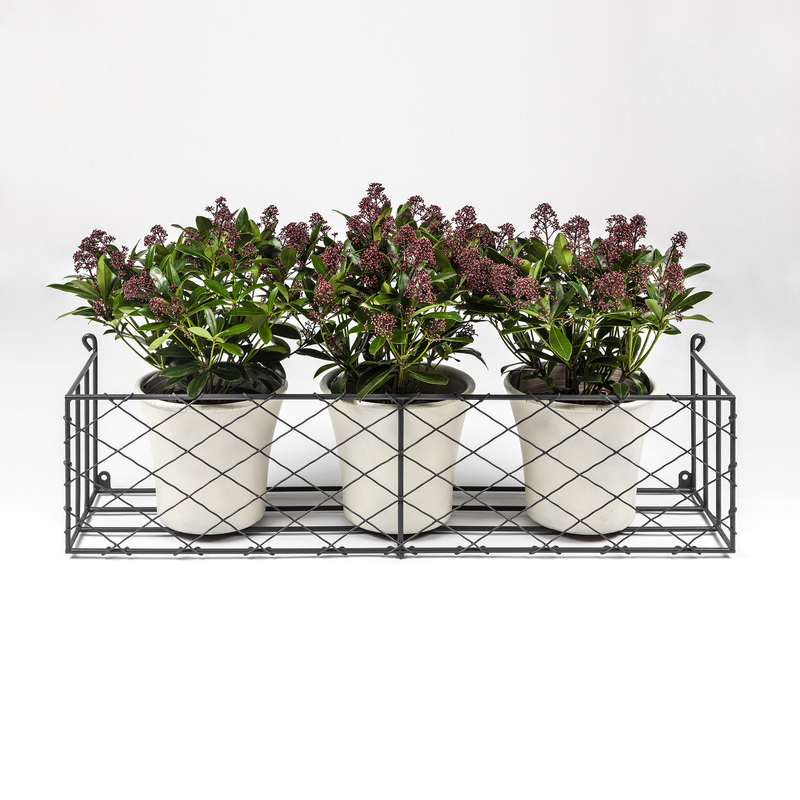 Any size to order. 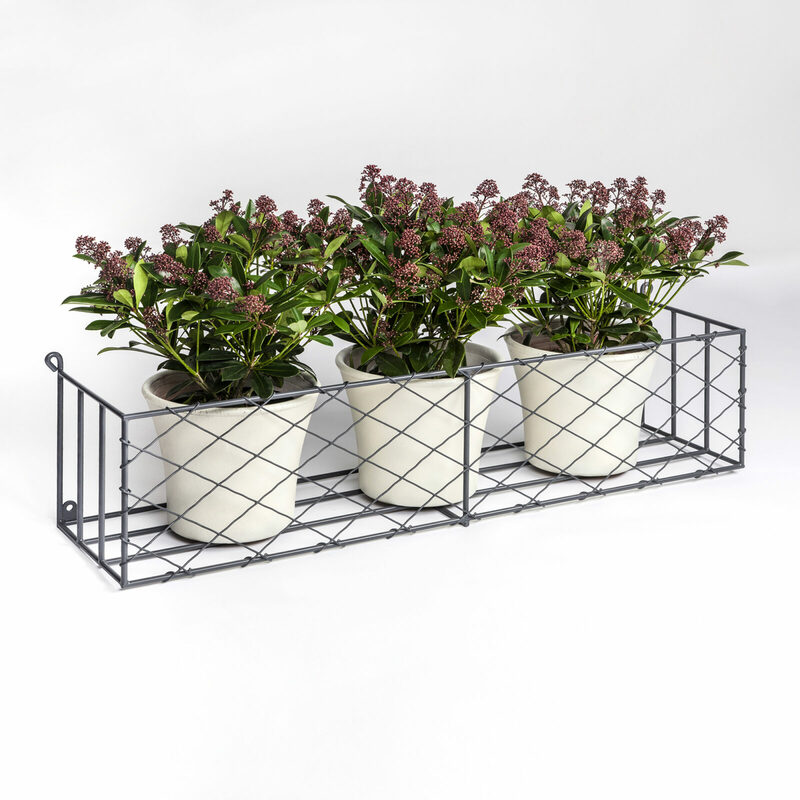 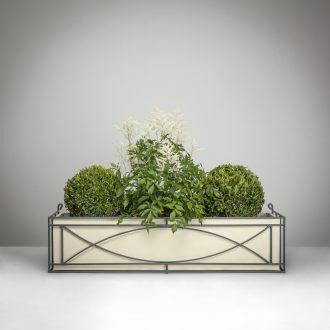 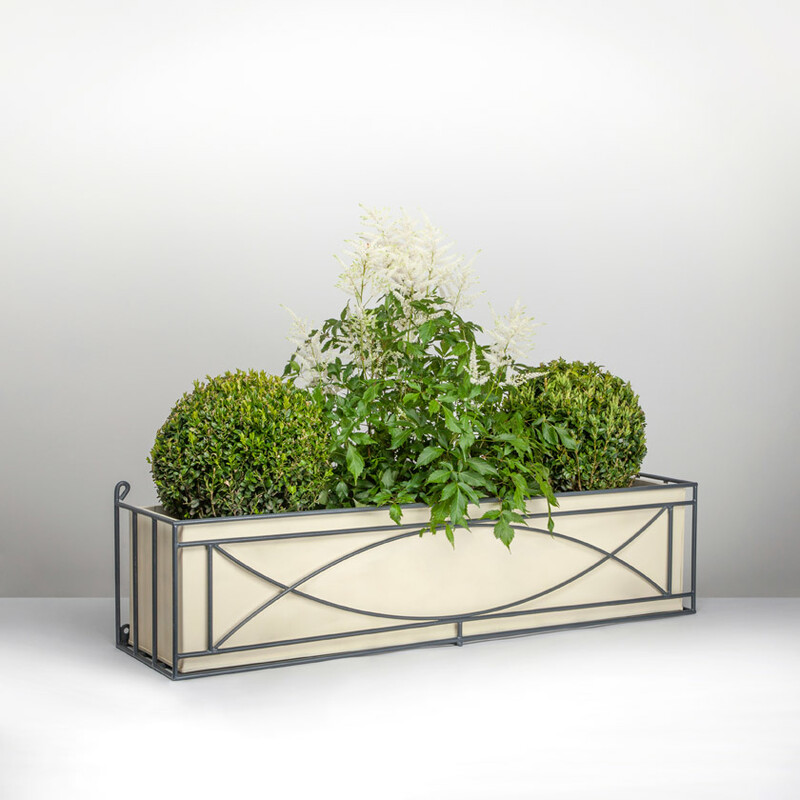 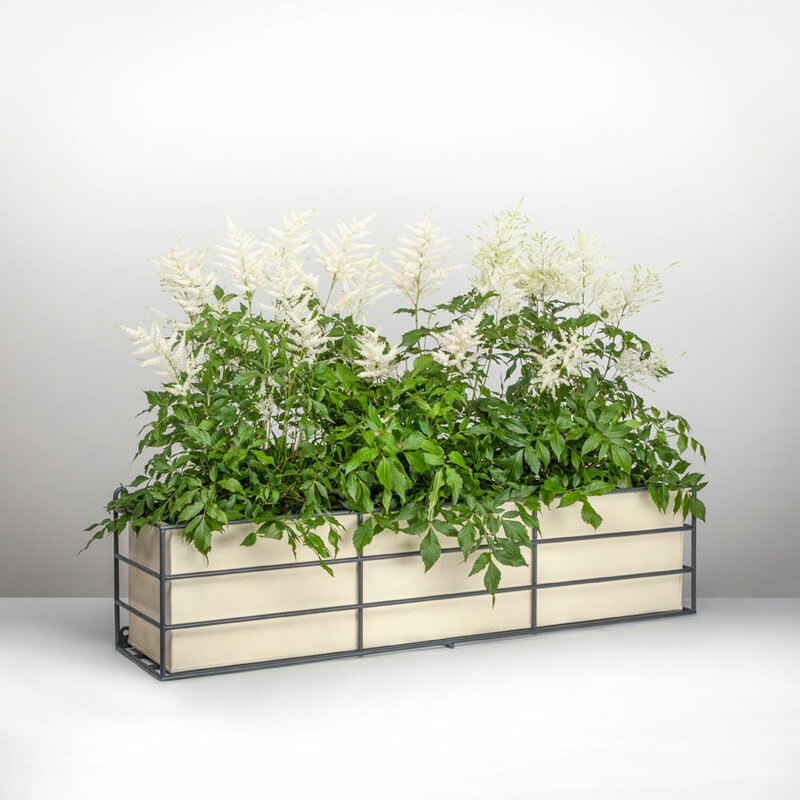 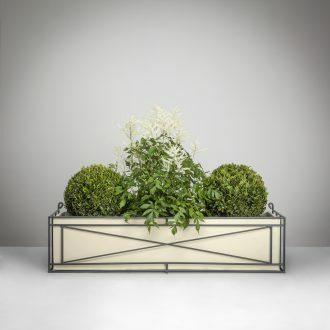 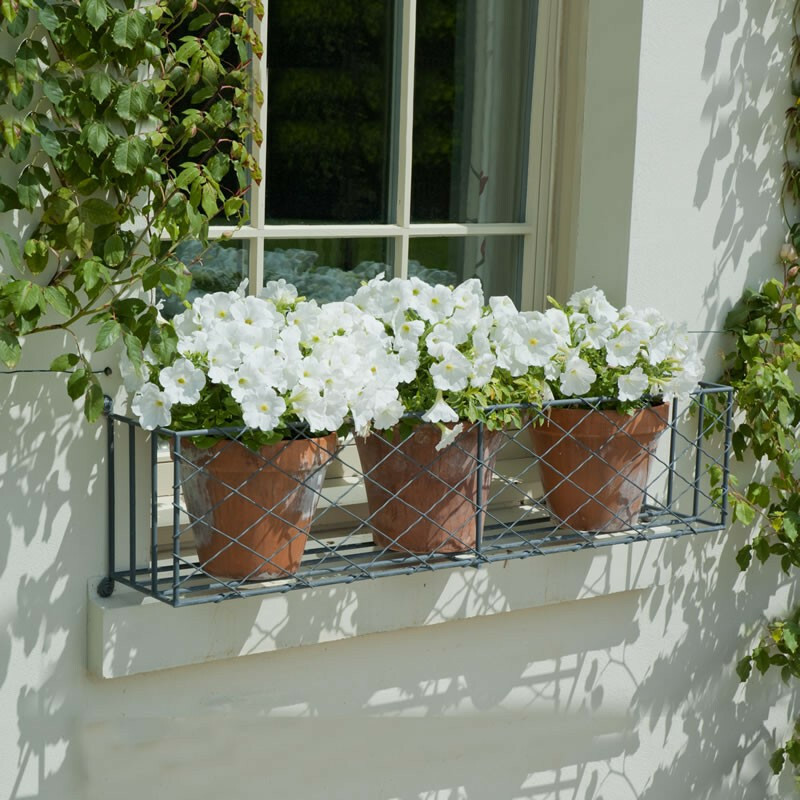 A classic metal window box designed to support heavy planters or pots of seasonal planting or traditional evergreen box balls. 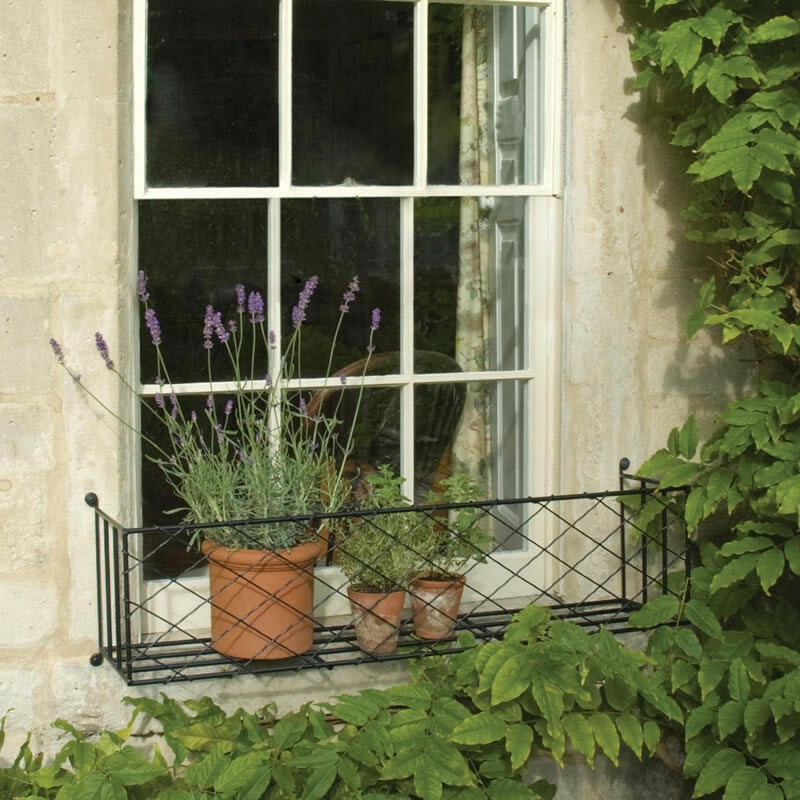 Designed to look elegant on most period properties, this iron window box has gentle curved detailing to soften the overall look. 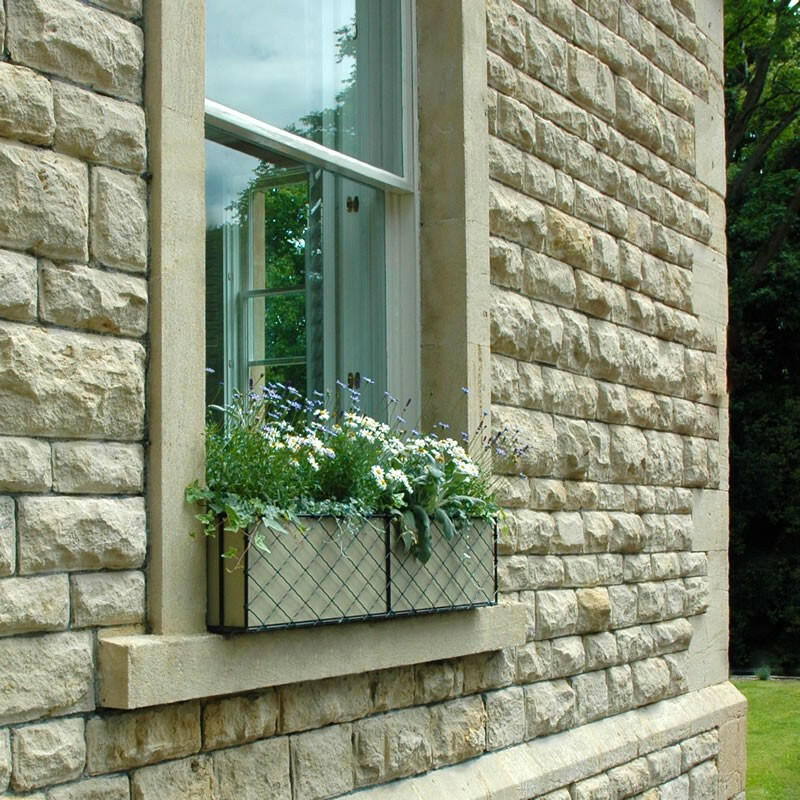 A rectilinear window box design to work with any minimalist property or cutting edge extension where less certainly is more.